A Little Time and a Keyboard: UniverSoul Circus is coming to Chicago! 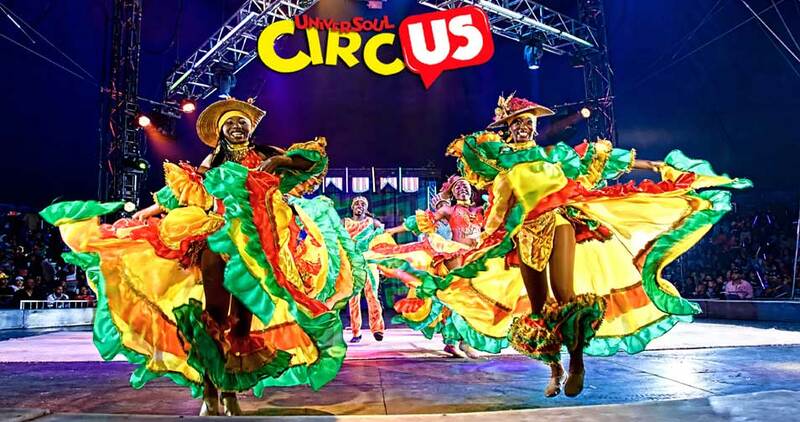 UniverSoul Circus is coming to Chicago! Caribbean dancers - Decked out head to toe in colorful, festive costume, dancers from the the islands of Trinidad and Tobago perform stimulating, show-stopping routines. Irina Markova's comedy dogs - The talented dogs take the show to new heights with jumps, leaps and tumbles through hoops. Contortionists - Twisting and contorting in unimaginable ways, the unbelievable Ethiopian performers are known to stun audiences. As a lead up to the circus run, the UniverSoul Circus will be holding a free "Circus Camp" for kids from 3:30PM-7:30PM on Tuesday, September 17 in Washington Park (5531 S. Martin Luther King Drive). Kids will be able to work on Caribbean dance, limbo, stilt walking, acrobatic, hip-hop yoga, juggling, being a clown, arts and crafts, ringmaster duties and more alongside circus performers. What an experience! Plus, how can you beat such a fun event that is free! Other local talent including the Jessie White tumblers will be present, too. If you would like tickets for the circus, they run $16-$35 and you can order them through Ticketmaster. Children under 1 are free.